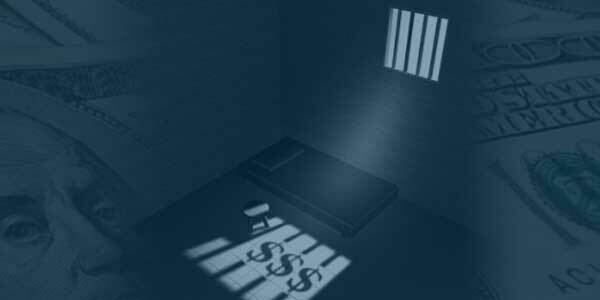 Oregon taxpayers spend over $29 million annually to support the death penalty. As OADP engages voters in conversations at events and discussions, we present the fact that Oregon taxpayers spend over $29 million annually to support the death penalty. Just presenting the cost facts frequently provokes the incredulous question, "Why does the death penalty cost so much?" The average Oregon voter has an opinion about supporting or opposing the death penalty, but since Oregon uses the death penalty so seldom, voters have little of the information needed to offer an informed opinion. The "why" question on cost is logical and reasonable to pose, and the answer is one that warrants serious consideration. In this article, we will address this question. The cost of having and supporting a death penalty has been studied time and again in Oregon and many other states. It is worth noting that not only does the cost of an execution run into the millions, not using the death penalty does not stop the high cost of having a death penalty. According to Lewis & Clark Law Professor Aliza B. Kaplan in her scholarly law review article Oregon's Death Penalty: The Practical Reality," Oregon's death-penalty law allows for a 10-part review process prior to execution for all those convicted of aggravated murder and sentenced to death, which can take decades and is expensive. There are various reasons to have such high costs to administer the death penalty by any state that keeps it on the books. Jeff Ellis, top death penalty defense attorney and head of Oregon Capital Resource Center, offers two main reasons: "(1) the cost of a death penalty appeal is much higher than a non-death penalty appeal-largely because courts are reviewing a two-part trial; and (2) the percentage of reversals is much higher in death penalty cases largely because the rules regarding penalty phase are complex, judges often don't know the rules very well, neither do the lawyers, and reviewing courts are required to apply strict scrutiny." Ellis goes on to state, "that is why we have so many cases where there have been multiple phase-only trials followed by appeals." The cost of the death penalty has been studied many times, including a November 2016 study by Lewis & Clark Law professor Kaplan and Peter Collins, PhD, Seattle University, Department of Criminal Justice. One of their conclusions, focusing only on the initial trials was, "Results indicate that the costs for aggravated murder cases that resulted in death sentences range on average from about $800,000 to over $1,000,000 more per case when compared to similar non-death aggravated murder cases." A two-phase aggravated murder trial (first phase conviction and the second phase sentencing) requires more attorneys, more expert witnesses, more forensic evidence, more witnesses and more-much more-time in the courtrooms. The estimated median cost in which the death sentence was given was $1.2 million per case, (about 70 percent more) than the same estimated costs for a non-death penalty of about $740,000. The projected appeal-related costs for the death penalty cases in the Kansas sample was more than 20 times the projected cost for cases in which the death penalty wasn't sought. The current system costs $137 million per year; it would cost $11.5 million for a system without the death penalty. The cost of a death penalty trial and direct appeal alone is more than five times the cost of a life-without-parole trial and direct appeal. Including the relative costs of incarceration, the death penalty increases the cost by 38 percent. An average capital-eligible case with a death notice costs $1.8 million, or $670,000, more than a no-death-notice case. Washington found that each death penalty case cost an average of $1 million more than a similar case where the death penalty was not sought ($3.6 million, versus $2.01 million). Defense costs were about three times as high in death penalty cases, and prosecution costs were as much as four times higher than for non-death penalty cases. Many more cost studies can be found online or at the Death Penalty Information Center website. After reviewing this information, former Oregon Supreme Court Chief Justice Edwin Peterson stated, "Even if one supports the imposition of the death penalty for religious reasons (an eye for an eye, a tooth for a tooth), moral reasons, or otherwise, for the reasons on cost stated above I concluded that the death penalty should be abolished. Let's do it." The myth of closure. Prosecutors and other proponents of the death penalty promise victims that the death penalty will bring "closure." That is a lie. The death penalty does not bring a loved one back. And decades of appeals where the most gruesome details are repeatedly paraded for public consumption is the very opposite of closure. The myth of colorblind justice. The legacy of racism finds common roots in the death penalty. Race is one of the most robust factors in determining who lives and who dies. The truth is that the death penalty was designed to discriminate based on race. Which brings us to the myth of infallibility—nobody who is innocent gets executed. Of course, this myth was shattered by the advent of DNA testing. The ability to test DNA years after a conviction revealed that innocent people were coerced into confessing, eyewitness identification is often faulty, and crime laboratories routinely made glaring errors that were not noticed and cured until years later. We fixed that last problem, right? After all, individuals under a death sentence can now go to court and request that biological material collected at a crime scene be subjected to DNA testing, right? While a mechanism exists to request DNA testing, court after court has proven reluctant to allow the testing. The most recent denial of DNA testing came from the Marion County court when it denied Oregon death row inmate Jesse Johnson's motion for testing of items collected at the murder scene. The judge who denied the motion applied now classic Catch-22 reasoning: Johnson was convicted and has not sufficiently proved his innocence without this evidence, so he is not now entitled to DNA testing. Let me suggest a simple proposition. If the biological material is found at the scene of a homicide that the prosecution has not tested and the person under a death sentence asks for it be tested, the answer should always be "yes." 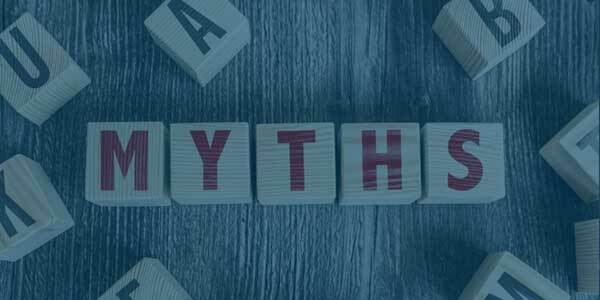 We cannot allow the myth of infallibility to go unchallenged. DNA testing is easy. The search for the truth should not have an expiration date, especially given the fundamental truth of the death penalty—executions are irreversible. The disappointment we experienced last fall when Sister Helen Prejean underwent back surgery and had to postpone her two-stop visit to Oregon will be replaced with great joy as she has rescheduled for May 23 and 24 of this year. 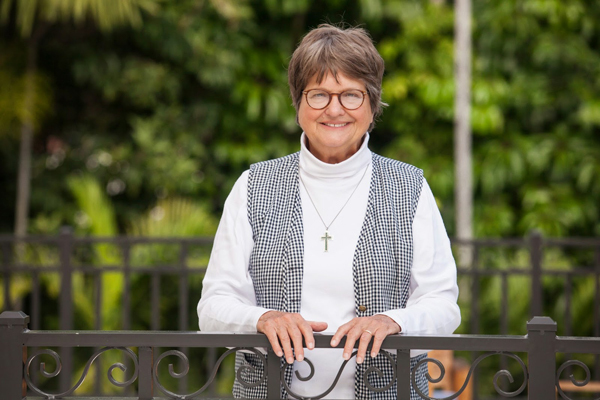 Sister Helen Prejean has been instrumental in sparking national dialogue on the death penalty and helping to shape the vigorous opposition to state executions. She travels around the world giving talks about her ministry. She considers herself a southern storyteller. In the early 1980s, Sister Helen was working with the poor in New Orleans when she was asked to correspond with death row inmate Patrick Sonnier at Angola. She agreed and became his spiritual adviser. 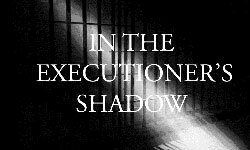 After witnessing his execution, she wrote Dead Man Walking: An Eyewitness Account of the Death Penalty in the United States about the experience. This book became a movie, an opera, and a play for high schools and colleges. Since 1984 Sister Helen has divided her time between educating citizens about the death penalty and counseling individual death row prisoners. She has accompanied six men to their deaths. Save the dates. Sister Helen will return to Oregon for speaking engagements in southern Oregon on May 23 and in Lake Oswego on May 24. If you have heard Sister Helen speak, you know she is one of the best. If you have never heard her speak, you do not want to miss these opportunities. May 23 at Shepherd of the Valley Catholic Church, Central Point. Call 541-664-1050 for ticket information. May 24 at Our Lady of the Lake Catholic Church, Lake Oswego. Call 503-990-7060 or oadp.org for details. The Dorchester, launched in 1965 at the Dorchester House in Lincoln City, is the oldest annual political conference in the United States. Its founder, Robert (Bob) Packwood, was then a 33-year-old state legislator. 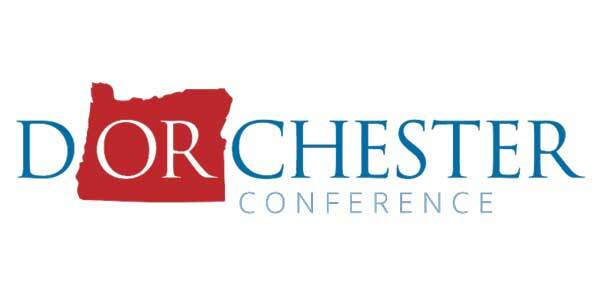 The Dorchester Conference, as it came to be known, provided a forum for the discussion of the future of Oregon and the Oregon Republican Party. In previous years the conference had been held on the Oregon Coast, first in Lincoln City, more recently in Seaside, and now in Salem. OADP has had an information table at the conference for the past four years. Each year both the visitors at our table and interest in our information have heightened. Our main objective is to provoke conversations with people who may be conflicted on the issues surrounding the death penalty but are willing to talk about them. In the past a majority of Republicans favored the death penalty, but in recent years the gap has narrowed. Last year there was a convention floor discussion and vote on repeal of the Oregon death penalty that garnered 44 percent of the votes for repeal. Our efforts to make friends is paying off. Over the years, leading Republican state and national office holders have opposed the death penalty. Dorchester founder U.S. Senator Bob Packwood; Mark Hatfield, two-term governor and 30 years as a U.S. senator; Senator Wayne Morse; chief justices Edwin Peterson and Wallace Carson; and highly respected state senator Frank Morse have been outspoken opponents of the death penalty. In addition to our OADP information sheets, we will again provide information from the national organization Conservatives Concerned About the Death Penalty. 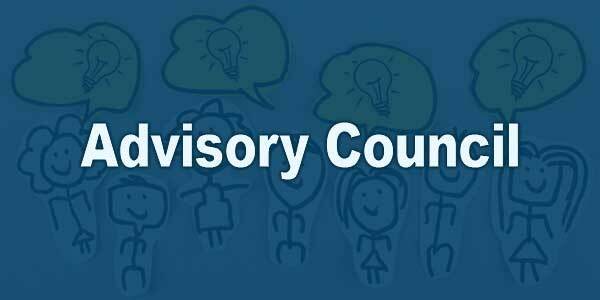 Board members and Advisory Council members will staff the information table throughout the conference hours Friday afternoon, March 2, and all day on Saturday, March 3. As an all-volunteer organization, OADP appreciates every supporter willing to raise his or her voice in support of opposition to the death penalty. In conversations with family members, friends, and folks you know at work, it is helpful when you state support of our mission to repeal the death penalty in Oregon. Among the thousands of people who opposed capital punishment in Oregon, those OADP members doing special work are the 90+ members of our Advisory Council. Council members contribute in many, many ways. Advisory Council members speak up in conversations about the death penalty; they provided helpful suggestions on ways to advance our work; they attend our events; they support OADP financially within their means; they introduce us to other like-minded voters; and they encourage others to become members of the Advisory Council in order to be a more active supporter of our mission to repeal the Oregon death penalty. Within the past few months we have added 5 new members. Conner Boyd, of Portland, was nominated for membership by Lance Mayhew, who was a council member and now serves on our board of directors. When Conner was asked why he wanted to join the Advisory Council, he offered this statement: "I believe that if we want to address the rest of the social injustices in our country, we first need to remove the most inhumane allowance of our government. My purpose in life is to help make the world a better place by working with the least fortunate among us. "Additionally, a cause like repealing the death penalty is something that can be achieved, there is an end goal in sight. My assumption is that the repeal of this law will rely on activating the youth of Oregon to demand change, and this is something I know that I can bring to the organization." 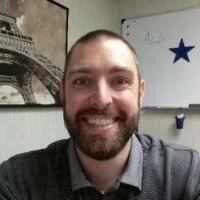 Conner has successful experience nationwide in community organizing and social media, skills that OADP greatly needs in order to expand our numbers with millennials. 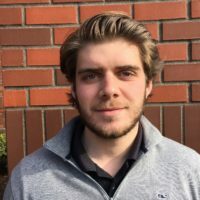 Another young man, who lives in Salem and works for a Eugene law firm, is Trevor Walraven. When asked why he wished to serve on the Advisory Council, he offered the following statement: "I have a passion for criminal justice reform. As a youth who was sentenced to life in prison for my actions at 14-years-old and later becoming the youngest elected president of the Lifers' Unlimited Club at the Oregon State Penitentiary, advocacy has been a cornerstone focus for me. I have also had the unique opportunity to interact with the men on Death Row. I was privileged to engage and thus humanize the men as I myself was humanized through interactions in other arenas. I was also fortunate enough to help some transition off of Death Row and acclimate to the general population at OSP." Trevor's unique background and development leads him to become a valuable and wise contributor to our community. He will participate in public speaking and private conversations with people truly wanting to know more about the criminal justice system and how we can all help to provide real justice in Oregon. Board member Lance Mayhew suggested another outstanding candidate for the Council. Jon DeBillis has more than 20 years of experience as a professional writer, editor, and web content producer. He is effective in written and oral communication, possessing a familiarity with both internal and external communications roles. When he spoke of the opportunity to join the OADP Advisory Council, Jon said, "My interactions with inmates has been a positive one and always reminded me of the humanity that binds us. In fact, some of those interactions brought me closer to my own faith. This is a calling to now work against the unjust practice to capital punishment." 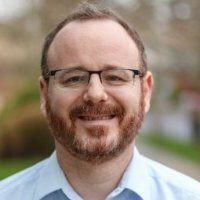 Jon further states, "l will be a strong voice provoking conversation as a speaker for OADP." OADP's board of directors and advisory council have several people who have experience in law enforcement and executives with the Oregon Department of Corrections. In recent weeks two more former high-ranking DOC employees have joined the Advisory Council. Few people have the unique experience of working with four departments of corrections (Florida, Arizona, Illinois and Oregon), as assistant director of prison operations and being a prison superintendent as Stan Czernaik. Czernaik's last position with the Oregon Department of Corrections before retiring was Inspector General. He was recognized as a person with deep understanding of death row inmates and someone with a reputation, held by his co-workers, as fair-minded and compassionate. Stan is retired after forth-two years in corrections work and lives in Dallas, OR. He is eager to work with OADP to help to educate voters about the many issues that exist with Oregon having a death penalty and the alternatives to a policy of state executions. In a statement made in his application to join the council, Mr. Czerniak stated "As an ethical matter, no state has a right to end any human being's life". The fifth of the latest group of the new Advisory Council members, and another person with deep ethical and moral feelings is Dr. John Vargo, MD. Doctor Vargo lives in Salem and has retired after twenty-one years as Chief Medical Officer for the Oregon State Penitentiary. From his years of service to the prison population he has a carried the deeply felt belief that "all persons should have the opportunity to repent and to know they have the opportunity for forgiveness and mercy". Like all of our advisory council members, Dr. Vargo is eager to engage in dialogue with voters in order for them to better understand the many problems with Oregon having a death penalty and the better alternatives to carry on a better public policy that that includes the ability to execute citizens. As a supporter of OADP, if you are wanting to become more involved and advance our mission, please do not hesitate to contact us and join others who share our journey to repeal the Oregon death penalty.